We had a great time on the trip. Thank you for arranging it and the courses were all very good to excellent. 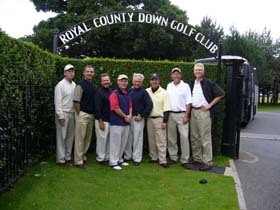 Our favorite was certainly Royal County Down. We will be talking to you in the future I’m sure about another trip.